Specialising in Scottish Castles, Clans and Castles offer bespoke tours of Scotland. The tours feature lots about Scotland's culture and clan lands. So whether it's a self drive tour or a honeymoon, there's a tour option to suit. 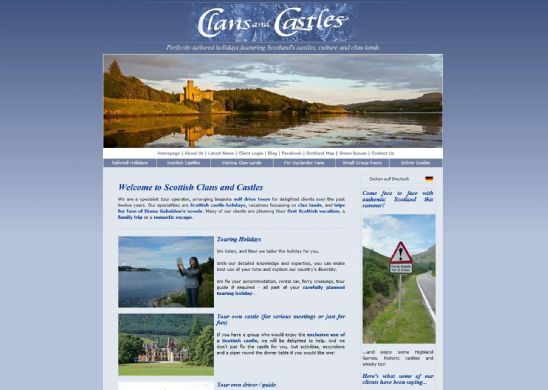 The website gives visitors lots of information about castles that would feature, as well as information on Highland Games, other attractions and shows a map of Scottish clan lands. As you'll see, you don't get much more Scottish than this for a tourism business, so a dotscot domain is the obvious choice for the website.